Wow, where to start with this vast and amazing museum. 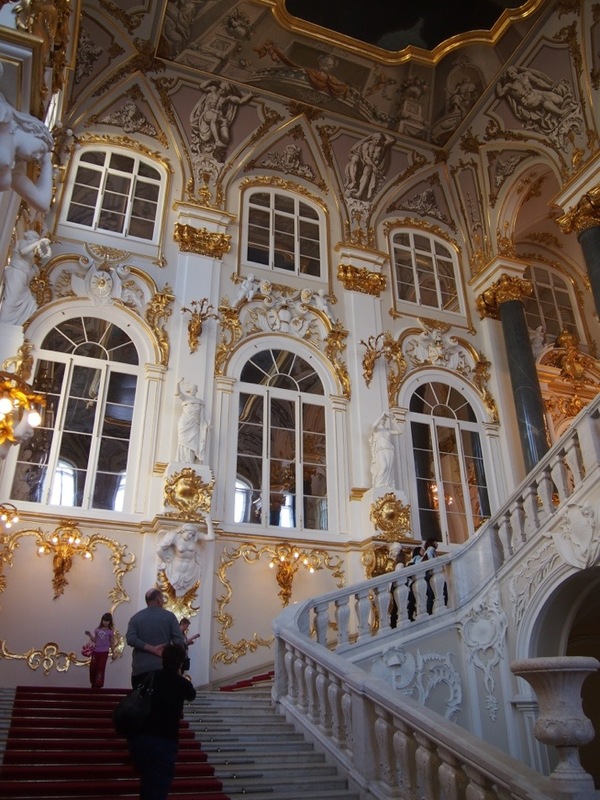 The Hermitage is housed across three floors and three buildings in the heart of St Petersburg. 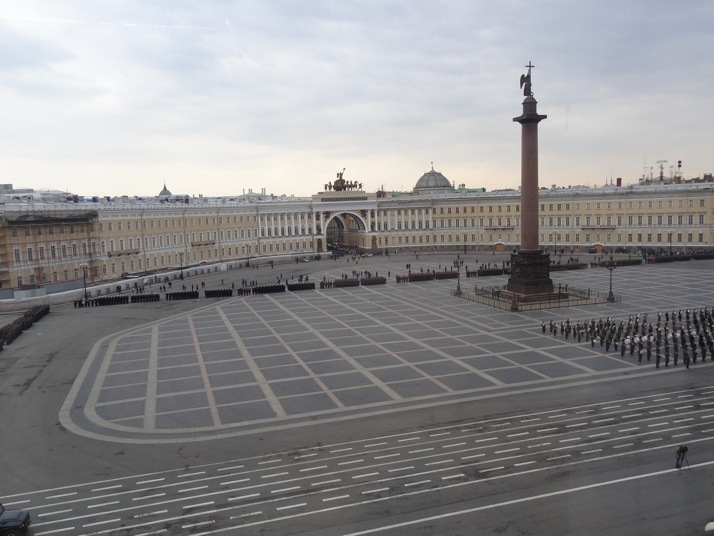 You enter from Dvortsovaya Ploschad (Palace Square) into the Winter Palace. 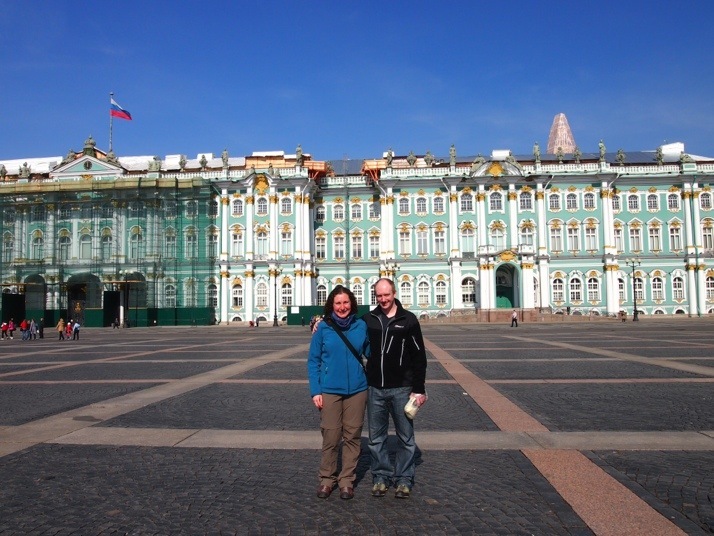 This beautiful building, painted green and white, was built for the tsars in the mid 18th century. 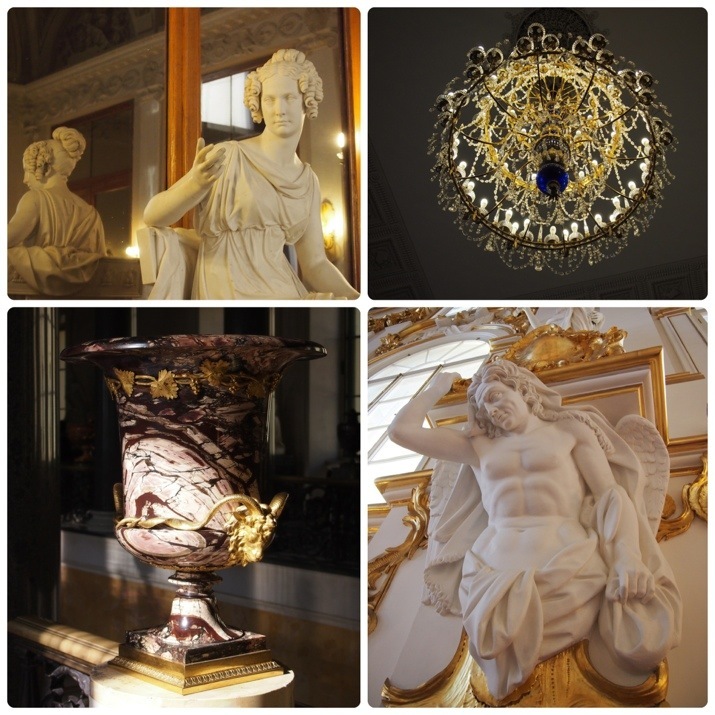 The museum collections were begun shortly afterwards, in 1764, by Empress Catherine the Great. To give you some idea of the scale of the place, we visited for two longish days (6-7 hours each and we weren’t dawdling) and we could easily have spent another day or two there without covering the same ground twice. 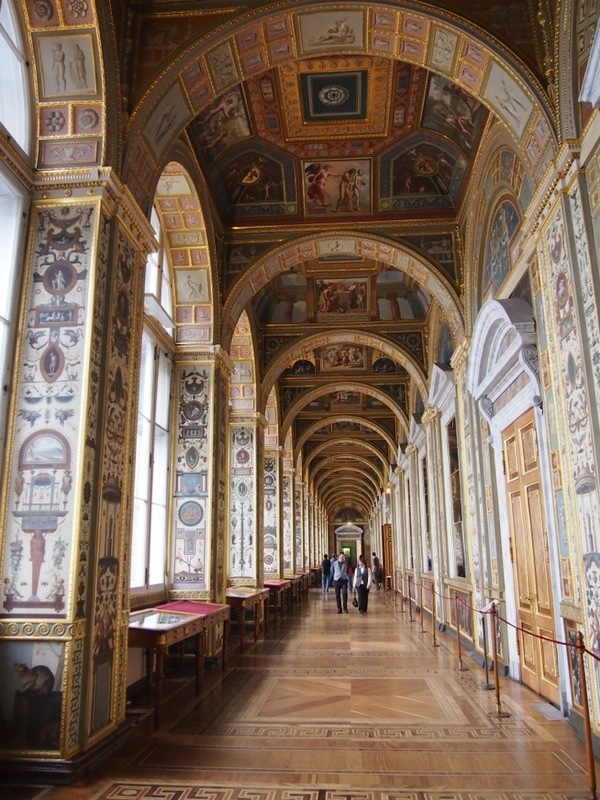 The corridors of the museum reputedly add up to something like 20km (about 12.5 miles). 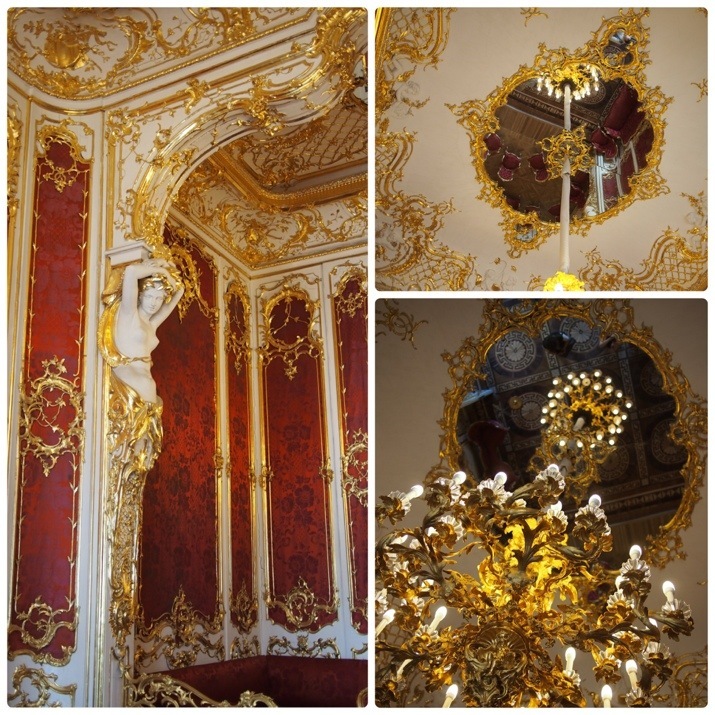 The art collections are impressive, but for me the real highlight were the rooms that they were housed in, with carved cornices, chandeliers, ceiling paintings and lots of gilding. 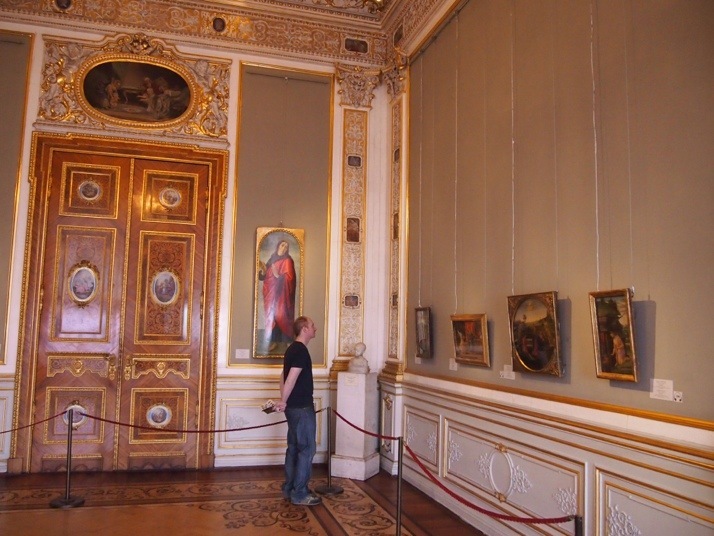 There are also a number of state rooms open to the public. 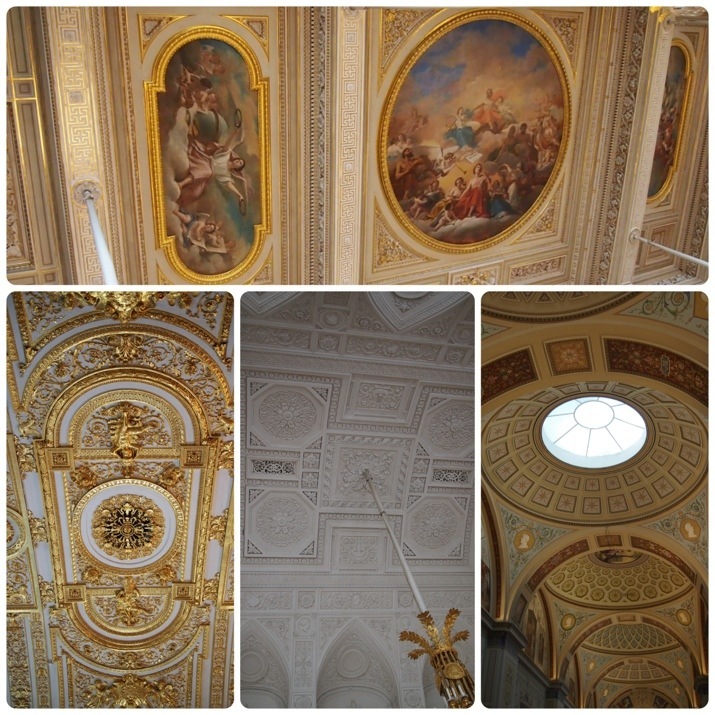 These are mostly on the first floor and also include rooms furnished in styles from different periods, e.g. Art Nouveau or Roccoco. The Jordan staircase – what an entrance! 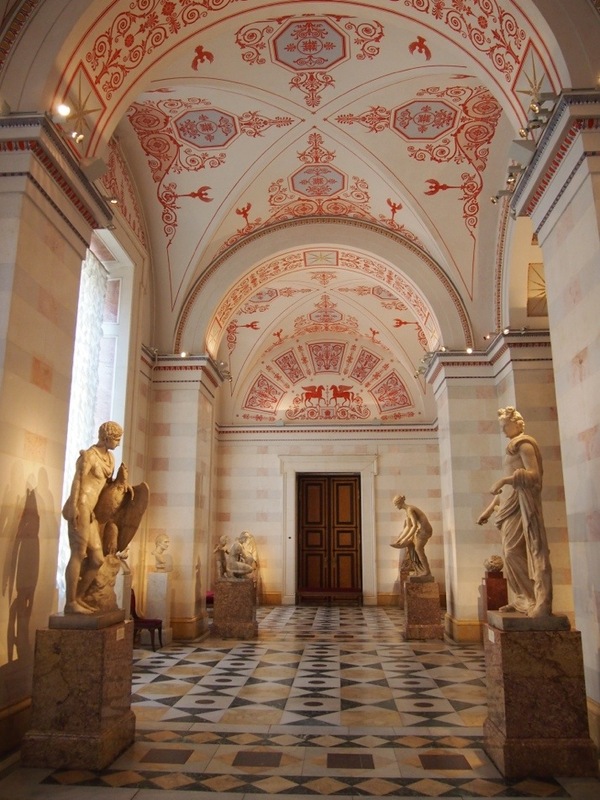 A particular highlight for me was the Raphael loggia copied from the gallery in the Vatican which was painted by Raphael and his students between 1517-1519. The first floor of the museum is where most people seem to concentrate their visit. 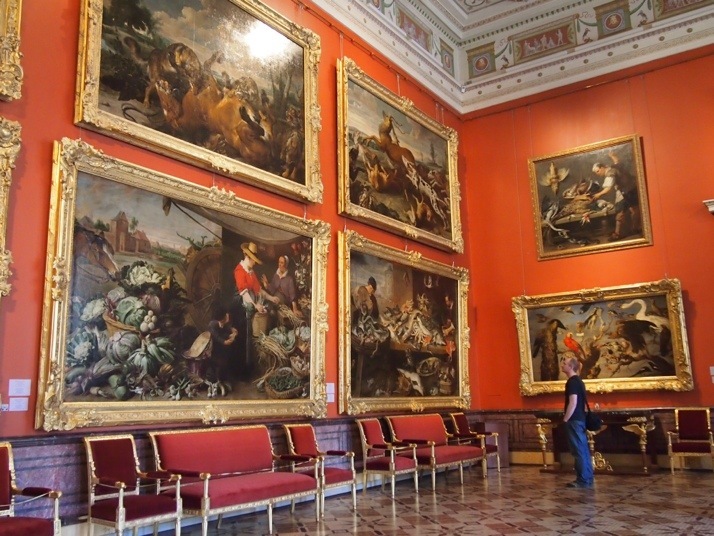 As well as the majority of the state rooms, it contains all the ‘Old Masters’ kind of art. 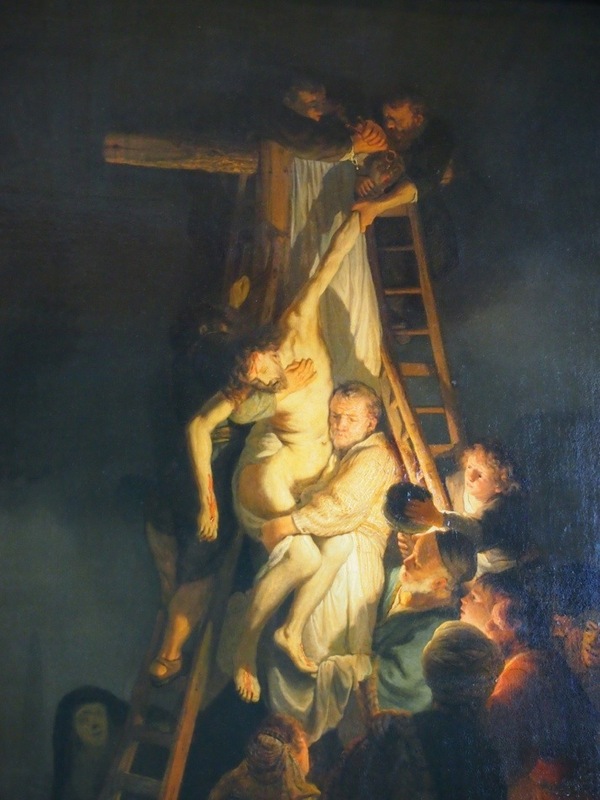 Pretty much all European, they have a staggering number of pieces by Rembrandt, Rubens, Leonardo da Vinci, Michelangelo, etc. 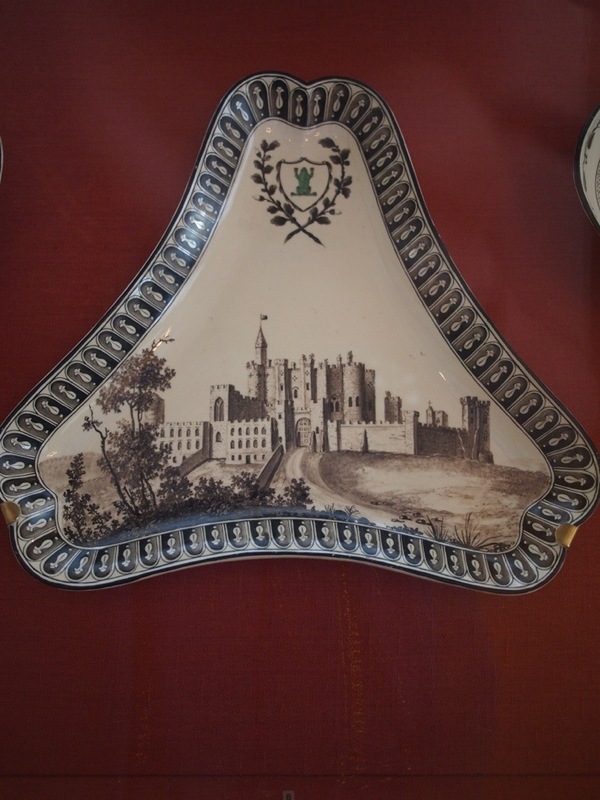 There is a small collection of British Art, including some pieces from Wedgwood’s Green Frog Service which was commissioned by Catherine the Great in 1773. 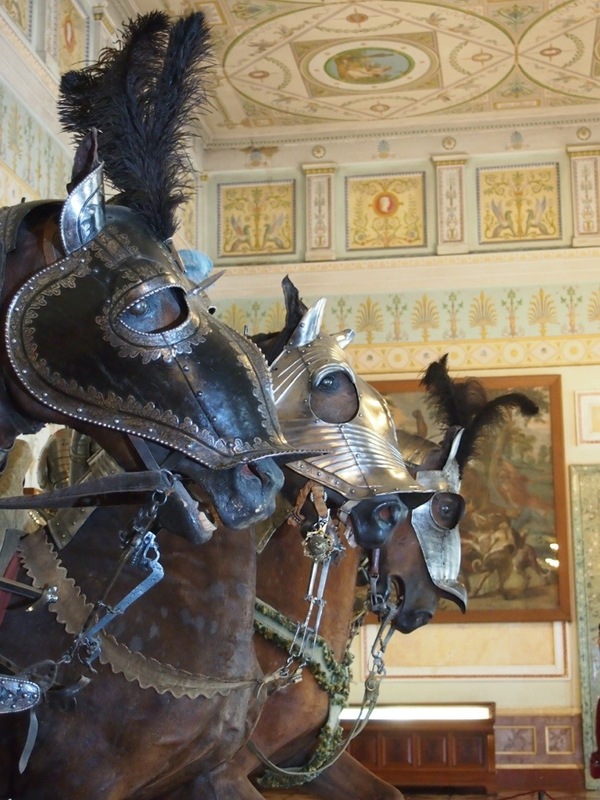 There’s also a collection of European medieval art, and a room devoted to armoury. 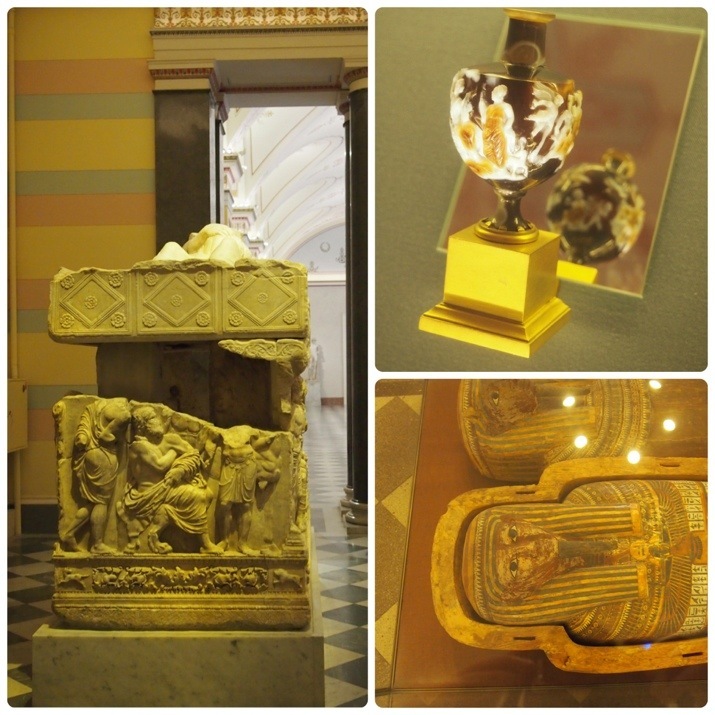 The ground floor of the museum is devoted to antiquities, art from ancient civilisations. Neither of us was particularly interested in seeing these (there are only so many Roman emperors I can look at before I get bored…) but we did have a quick look through some of the rooms which was worthwhile to see the variety of exhibits as well as the different styling of the rooms on this floor. 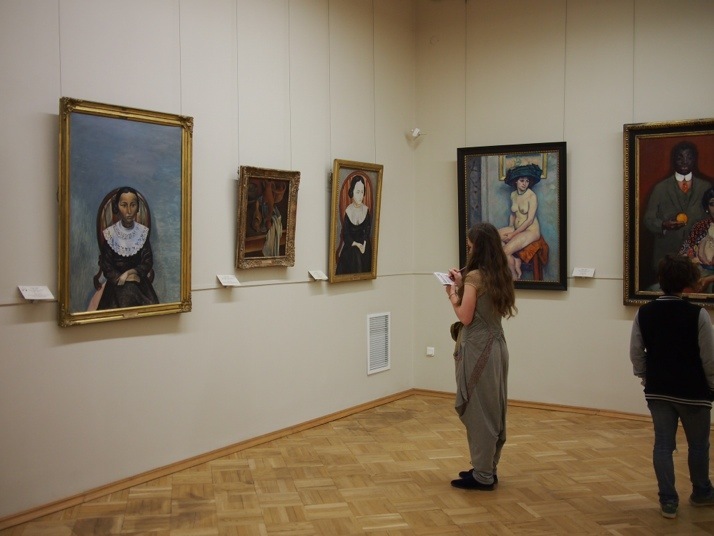 The top floor of the museum contains 19th and 20th century European art (Renoir, Gauguin, Matisse, Picasso…) and collections from Asia. 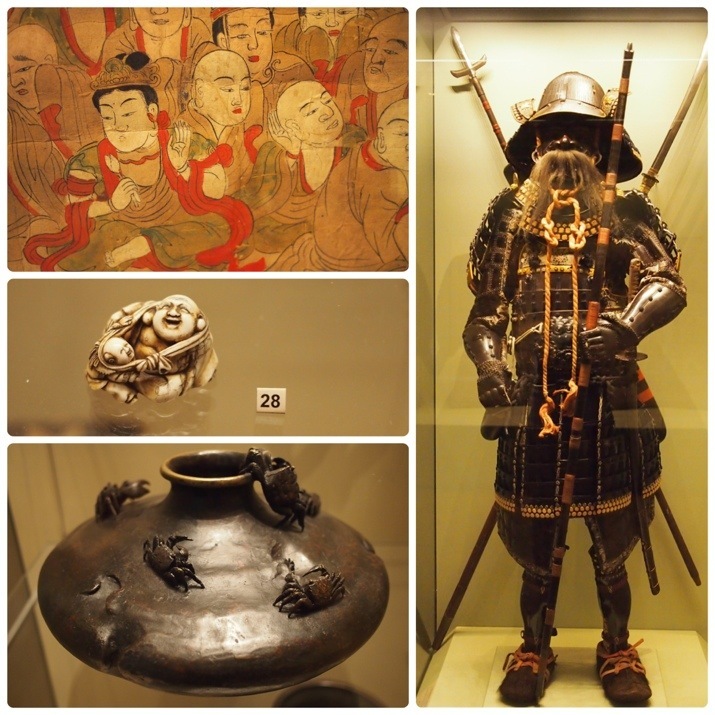 We especially liked the collection of Japanese netsuke. 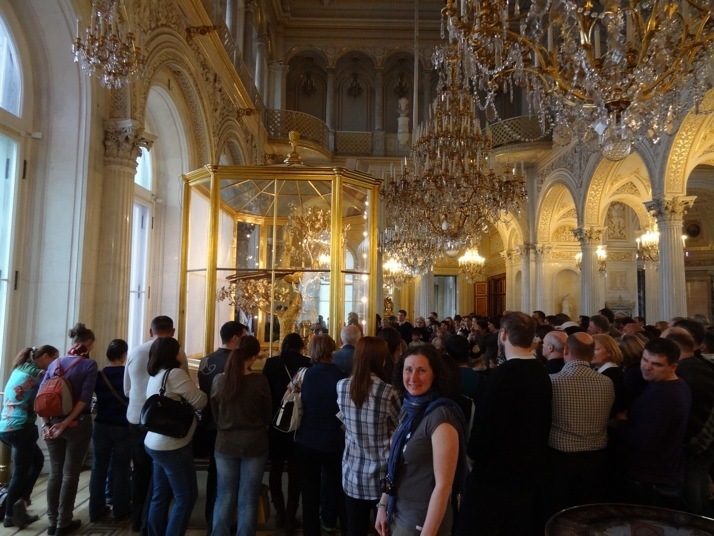 On our second day at the Hermitage, we opted to take a tour of one of the museum’s treasure rooms. 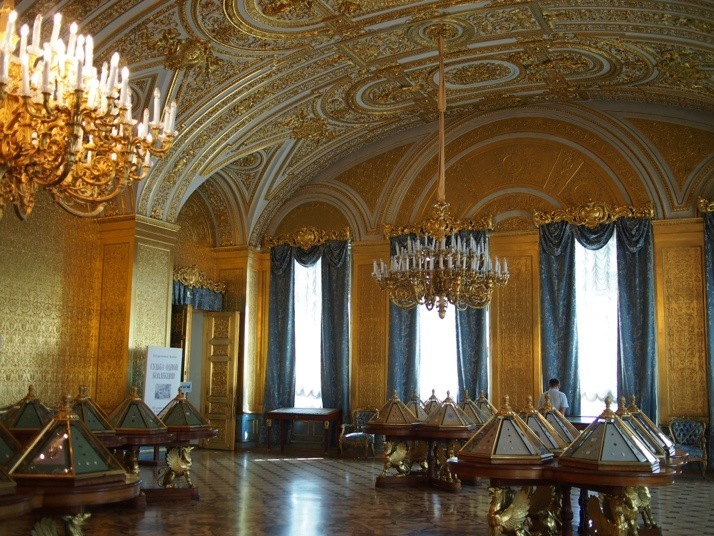 The collection of gold artefacts can only be viewed in a tour group and no photos are allowed. We weren’t very impressed with the tour (especially as it cost us an extra £6 each on top of the museum entry price). Although the group size was not too large (about 15 people), the guide spoke very quickly about each exhibit and moved on to the next almost without drawing breath, not allowing us to either take in what he had said or properly see what he’d just spoken about. It was especially galling as a Russian tour group had gone into the collection 15 minutes before us and were still only halfway round when we were shunted out, so maybe we were just unlucky with our guide. Nevertheless, some of the ancient items were very beautiful and incredibly intricately made and it was worth seeing, if a bit overpriced. One of the Hermitage’s more famous artefacts is this magnificent gilded Peacock Clock made by English clockmaker, James Cox, around 1770. The clock part is not very obvious at first glance, but two dials situated on a ‘mushroom’ at the base count the hours and minutes and a rotating dragonfly, sitting on the mushroom, checks off the seconds. Bells signal the hours and quarter hours. The clock is in good working order and is kept running all the time, but the mechanism which runs the automated figures (what we were about to witness) is only wound once or twice a month. Enter the man who we had earlier spotted looking after the grandfather clock. He got inside the glass case with clock, wound it up and the show began – the owl’s head turned and its foot lifted, the peacock began to rotate, opening its tail, and finally the cockerel crowed three or four times. 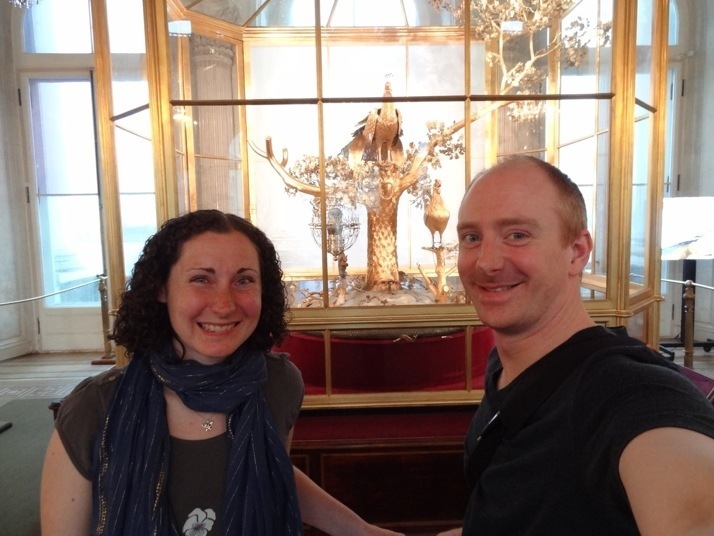 We later marvelled at the chain of events that meant we saw the clock in action – our choice of day to visit the museum, spotting the clock man earlier, the kindly and persistent woman who tried really hard to communicate the place and time to us. Do you have any stories of equal serendipity? 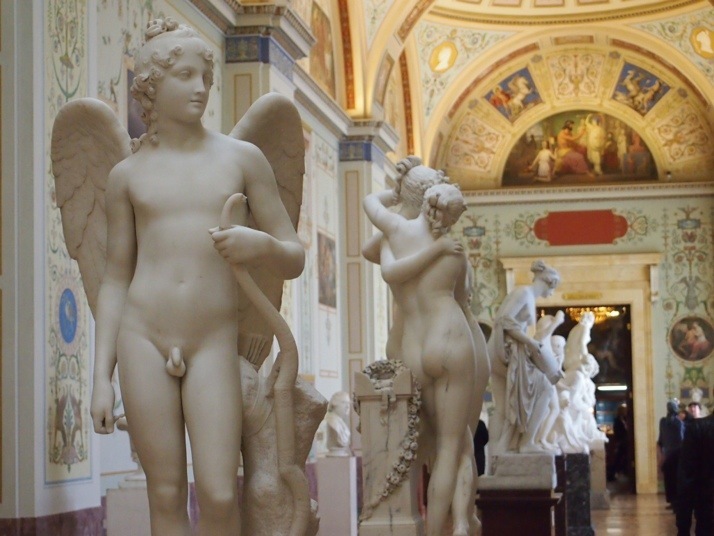 This entry was posted in Places and tagged Art, Museum, St. Petersburg on April 26, 2013 by Julie. Both looking good. Glad your trip is going well and fair play hats off to you both. In about 6 weeks Alison & I will be following in a few of your footsteps, we are doing a 2 week Baltic cruise with 2 days in St Petersburg so anything you recommend would be welcome. Will watch your progress with interest meanwhile stay safe and enjoy. Excellent, I’m sure you’ll love it – we did, and decided to stay an extra week as there’s so much to see!